June 13: DARK WINTERS’ NIGHT, a romantic fantasy novella set in the Vinlanders’ Saga world of Alfheim is released. November 9-11: I’ll be speaking at TusCon my home town science-fiction, fantasy, and horror convention. May 1: GUARDIAN, Book 2 in the Celestial Affairs series, is available for pre-order on Amazon. June 2: GUARDIAN will be available for purchase on Amazon. July 1-4: I’ll be speaking at WesterCon 70, the North American regional science-fiction convention. CHANGE OF PLANS: I’ve had to cancel my plans to attend and participate at WesterCon. I will still be attending TusCon in November. November 10-12: I’ll be at TusCon, my home town convention science-fiction, fantasy, and horror convention. Tim Zahn is the Guest of Honor. October 8: I’ll be speaking at the Martha-Cooper branch of the Pima County Library at 2:00 pm about Indie publishing. November 11-13: I’ll be at my hometown science-fiction convention TusCon Science Fiction, Fantasy, and Horror Convention. March 14: I’ll be speaking at the Tucson Festival of Books on the University of Arizona campus in Tucson. October 30-November 1: I’ll be speaking at TusCon Science Fiction, Fantasy, and Horror Convention. March: I’ll be speaking at the Tucson Festival of Books (one of the largest book festivals in the US) on a panel with Gini Koch. July: DEBTS, Book 3 in the Vinlanders’ Saga released. October 31-November 2: I’ll be speaking at TusCon, a science-fiction, fantasy, and horror convention. February 9: I’ll be speaking at the Himmel Library in Tucson on a panel addressing how to write a great story. I’m talking about ending it with a bang! March 9-10: I’ll be speaking at the Tucson Festival of Books. On Saturday I’ll be talking on the panel, “Fifty Shades of What?” about the differences and similarities between romance and erotica. On Sunday I’ll be on a panel about blending genres. March: BLAZING A TRAIL: YOUR SELF PUBLISHING JOURNEY to be released. October: BETRAYED BY TRUST, ON A MIDSUMMER’S EVE, and A VINLANDERS’ SAGA COLLECTION release. November 8-10: I’ll be speaking at the TusCon Science Fiction Convention. February 11: As part of the Amore & More series, I’ll be speaking at the Murphy/Wilmot branch library in Tucson, AZ about digital and indie publishing. March 10-11: I’ll be speaking at the Tucson Festival of Books on the University of Arizona campus in Tucson, AZ. June 2: I’ll be speaking at Arizona Dreamin’ in Chandler, AZ. October: FORBIDDEN TALENTS to be released. November 9-11: I’ll be speaking at the TusCon Science-Fiction Convention in Tucson, AZ. December 22: WITH HEART TO HEAR is available as a digital single on Amazon and Nook. November 11-13: I’ll be speaking and reading from my current work in progress at TusCon Science Fiction, Fantasy and Horror Convention. November 10: Print format of LIGHTBRINGER becomes available on Amazon. October 27-30: Speaking and signing at World Fantasy Convention. I just finished reading Dangerous Talents, I loved it! I can’t wait until Forbidden Talents comes out! Thank you for a great story! Thank you so much, Cheryl! You won’t have to wait long. 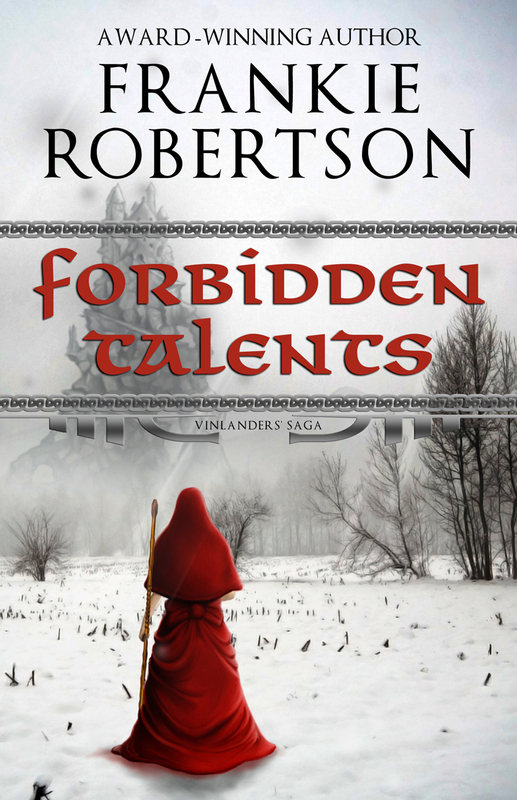 FORBIDDEN TALENTS is scheduled for release in October. read the talent trilogy will their be more vinlander stories ? Yes! I plan to write Lord Fender’s story and follow up with Benoia’s journey among the Daughters of Freya. First, though, I’ll be continuing the Celestial Affairs series. GUARDIAN will be coming out in early 2017. You can get a free fantasy story and sign up for my newsletter HERE. That way you’ll always know when my books are on sale or when a new book comes out.